As the focus of customer experience becomes more important, having a good picture of how your service operates in relation to what the customer is trying to do is paramount. At Adaptive Path, we often refer to service blueprinting as the gateway drug to service design. A service blueprint is one of our quintessential service design tools, and along with experience maps, it’s one of the common service design deliverables. It’s an accessible tool that brings together various perspectives, silos, and projects in a visualization of how the current service works, or what will need to be in place for a future service vision to be realized. It’s easy to learn but challenging to master. You can put one together in an afternoon to quickly move a project team forward. You can also spend weeks, months, and even years changing its scope, adding in more detail, or maintaining the services it documents. As our main focus is service design, we use blueprints on most of our projects, whether we’re working on the definition of an entirely new end-to-end service offering or a zoomed-in service moment. We even apply them to better understand internal services and processes. While there certainly are limitations to the tool, we find it best to work within the foundational framework before adding and experimenting. That said, blueprints are evolving. We’ve seen some interesting adaptations to the traditional format. 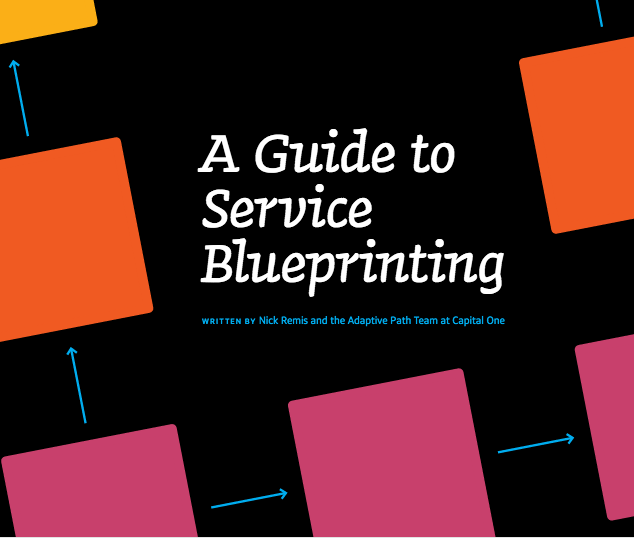 In this guide, we’ll share the fundamentals of service blueprints: what they are, why you should use them, how to create one, and how to use and maintain it. We’ll share best practices and tips that will help you either get started with service blueprints or refine your practice if you’ve already made a few.